Looking down Akaroa Harbour. Onawe Peninsula centre. 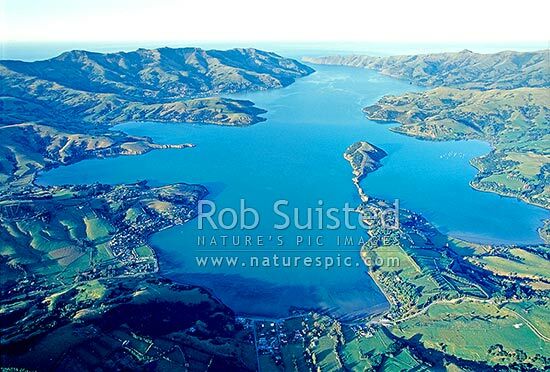 Akaroa top left, Duvauchelle bottom centre, Banks Peninsula, Christchurch City District, Canterbury Region, New Zealand (NZ), stock photo.